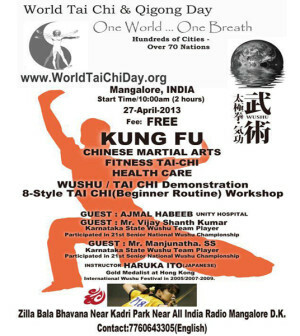 TAI CHI is not only the one supreme ultimate martial arts, also extremely famous and popular oriental-fitness exercise all over the world.This is the 1st time to be conducted the event “World Tai Chi & Qi Gong Day” in Mangalore!! 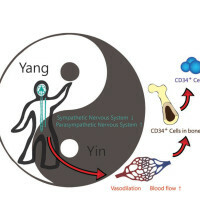 “World Tai Chi & Qi Gong Day” is the worldwide event, each local time at 10:00am on the last Saturday of April every year. 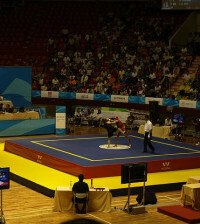 Now, Mangalore will become a piece of this worldwide event. 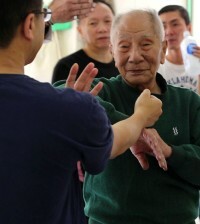 Any ages people can practice Tai Chi, and is very popular for especially women and aged people all over the world.